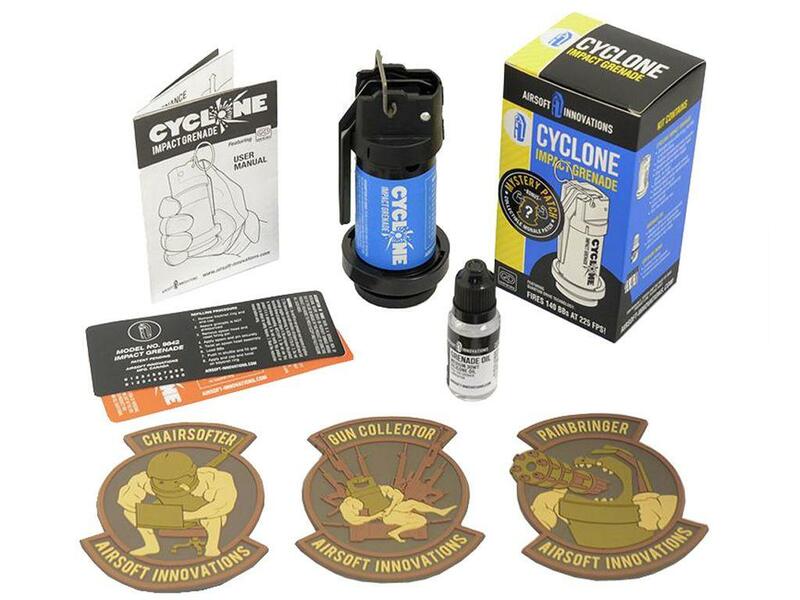 AI Cyclone Impact Grenade | Replicaairguns.ca | Easter Weekend Sale! 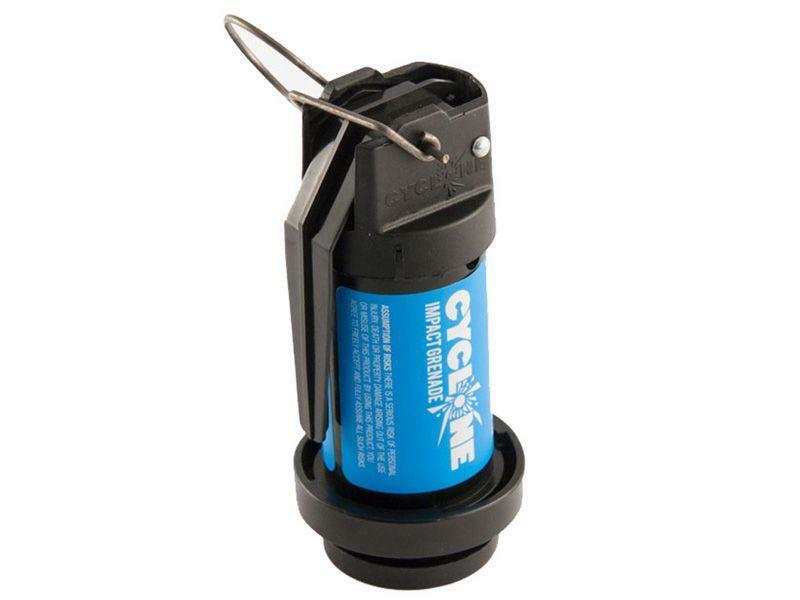 Comments: After years in development, Airsoft Innovations is thrilled to introduce the Cyclone Impact Grenade; the newest incarnation of the most ruthless spinning airsoft BB dispensing device out there. Using the new Quantum Drive engine, it unleashes a spinning storm of 140 BBs at 225 feet per second and is now available for about the price of a GBB pistol magazine. Included with the grenade are two waterproof skins, a bottle of grenade oil, and a mystery patch.